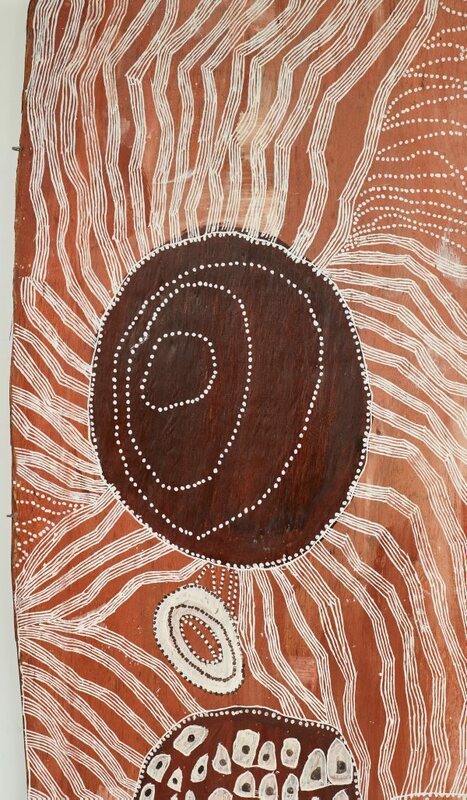 ‘In late 2017 she made an etching with Basil Hall at Yirrkala which used a brilliant fuschia as a component colour. In early 2018 Noŋgirrŋa's friend, kin sister and gallerist Beverly Knight independently queried whether Noŋgirrŋa wanted to respond to another Alcaston artist, Karen Mills recent work which also included fuschia. This coincidence seemed to suggest that it was a good time to add this colour to the palette when painting on recycled print proofs. And so in the early months of 2018 Buku-Larrŋgay went pink big time. 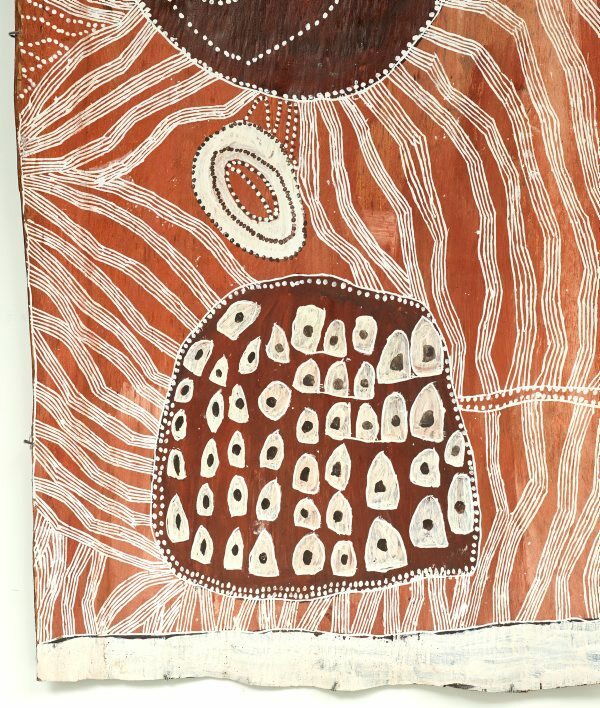 This particular bark painting was a response to the fuschia works on paper and the colour was matched using a mixture of natural earth pigments.